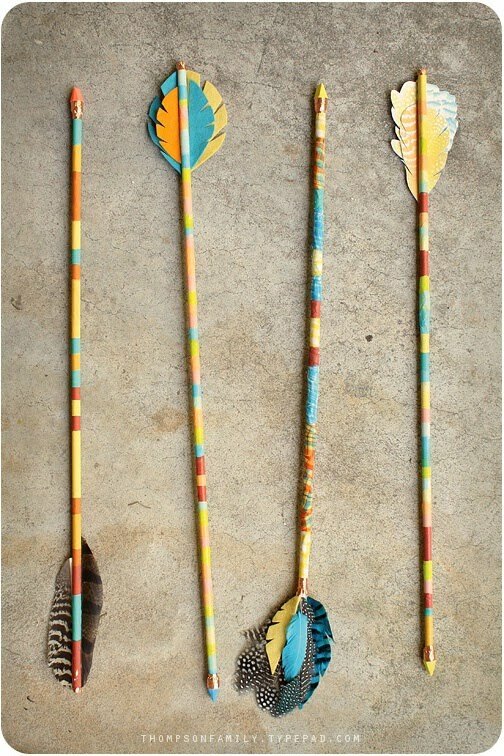 Vintage arrows are all the decor rage right now. If you don't want to spend $50 plus on a set, you might consider the DIY options from Danielle Thompson at Thompson Family Life. 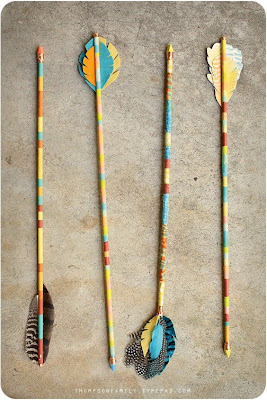 She made the arrow heads out of . . .love this . . . pencil erasers. Your kids will not shoot their eye out. brilliant with the pencil erasers! I saw these elsewhere and were amazed at how awesome they are. My son will go nuts for this. And I think its the perfect craft for his sister's Pippi-Pirate party.